Sara confessed that she wants to date Kartik Aaryan on Koffee With Karan. Actress Sara Ali Khan is on cloud nine after the huge success of Ranveer Singh starrer Simmba. The lady made her Bollywood debut with Kedarnath opposite Sushant Singh Rajput and won hearts with her performance. Along with her gorgeous looks, she is also known for speaking her heart out. 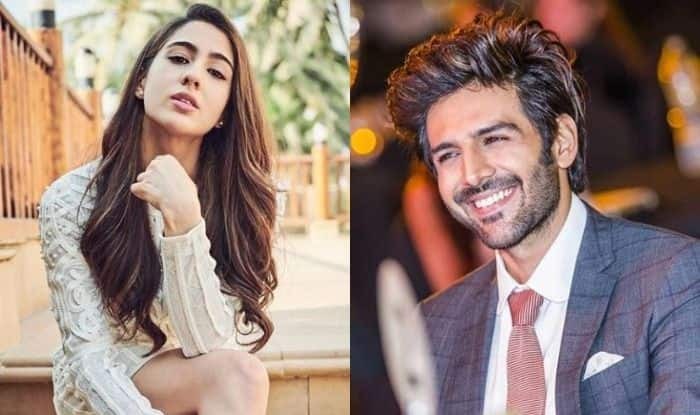 She became the topic of discussion after confessing her liking for Kartik Aaryan on Karan Johar’s chat show, Koffee With Karan. The actor reacted to it stating that he is waiting for her address. In fact, during promotions of Simmba, Ranveer introduced both of them. Just when we were thinking that this is the beginning of a new story, Sara recently said that she won’t text the actor after her mother Amrita Singh’s advise. Well, we hope Kartik listens to her wish and take Sara out for coffee. However, he was recently spotted with Student of The Year 2 star Ananya Panday. On a related note, Sara’s Simmba is ruling the box office. The movie has minted Rs 175 crore till now. It is filmmaker Rohit Shetty’s eighth film to the coveted Rs 100 crore club. Kedarnath also did decent business at the ticket window. Kartik, on the other hand, is gearing up for the release of Luka Chuppi. The film features Kriti Sanon opposite him. Both the stars are all set to grace Koffee With Karan.